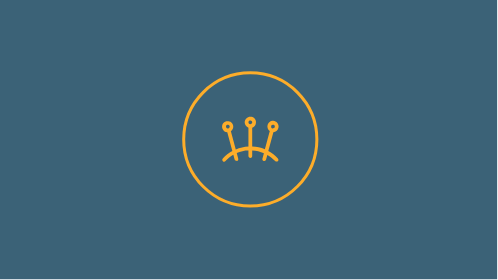 Prosper Physical Therapy and Dry Needling is a Concierge Physical Therapy Service designed for your convenience. We literally come to your home to deliver the one-on-one quality care you deserve. Dry needling is a specialized technique used to treat painful areas in tissues that may be too deep to reach with a hands-on approach. The thin needle is inserted into the affected tissue by the therapist. Once the trigger point is reached with the needle, both a physical and chemical response occurs as proven in research. Research has shown that prior to the needle being inserted into the tissue, the affected area is acidic with a low pH and poor oxygen levels compared to tissue regions without pain. Once the painful area is needled, chemicals are released and the affected region returns to a normal healthy environment. Amanda received her Trigger Point Dry Needling training through Myopain Seminars in Bethesda, MD that uses a westernized medical approach that began with Janet Travell, MD in the 1940s. Travell coined the term “Dry Needle,” when she inserted a non-medicated needle into a patient that she noted elicited the same response as the medicated needles. She began noting the referral pain patterns that were created when she needled different areas of the body. Those same referral patterns are still used today under myopain seminars training. Amanda received part of her training from Jan Dommerholt, who worked directly with Dr. Travell and who has the only textbook publication currently available on trigger point dry needling. She truly feels that she has had the best of the best training available. There are a lot of misconceptions around Dry Needling. If we don’t have the answer to your question here, please get in touch. Dry Needling is not acupuncture. Acupuncture uses meridian points and usually involves leaving needles in place along superficial points in the skin. Dry needling inserts a needle directly into a trigger point, or painful area of the muscle to release that muscle and is not left in place. The only similarity between the two practices are the needles used (the needle is an acupuncture needle). See the list of common diagnoses below for some of the symptoms treated by Dry Needling. What do I need in order to receive Dry Needling? When the needle is inserted, it is done very fast by the PT so that the pain is not felt. Once the trigger point is contacted, the patient will feel a sensation, but most patients describe this sensation as a quick shock. Afterward, there is muscle soreness that usually dissipates in a day. Do the needles leave marks? The needles do not leave marks because of their thin nature. There may be minor bruising at times, but this is very normal. As with any practice that uses needles, there are risks of infection; however, the needles used are in a sterilized package and only used once. They are then disposed of in a sharps container by the treating therapist. Side note- no patient Amanda has treated has acquired an infection. Also, when needling patients around the shoulders and mid-back region there is a risk of pneumothorax if the needle is inserted wrong (side note- no patient treated by Amanda has ever had a pneumothorax). She uses very safe and conservative techniques to ensure this does not happen. Results can be seen in as short as 24 hours or can take a week or two once the patient has been needled. Every patient is different and results can vary from person to person. It is important to also follow up with an exercise plan given by the therapist to make sure the results are maintained. Amanda is a therapist with a vast array of training in different manual therapy techniques to help you move better. Some common ailments that she uses manual therapy techniques on, include but are not limited to: SIJ dysfunction/pelvic alignment, Cervical/thoracic & lumbar mobility, Shoulder, knee & Hip mobility, Ankle stiffness, TMJ pain. These are used for stiff joints or joints that are painful to move. The most common joints Amanda Mobilizes are the shoulders, hips, vertebrae in the back, and ankle. Stretching after dry needling can often help to alleviate some of the soreness. Gentle stretching is applied to stiff muscles to help return the body to its optimal flexibility. Myofascial release post-needling Is also a common technique Amanda uses to help alleviate the soreness and return tissues to their optimal function. Myofascial release post-needling Is also a common technique Amanda uses to help alleviate the soreness and return tissues to their optimal function. 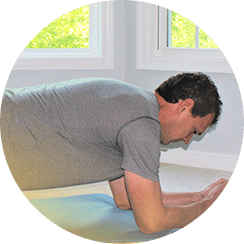 Once Amanda has helped to return your body to its normal state of movement, it is always important to follow-up with an individualized Home Exercise Program Designed specifically for you by Amanda. 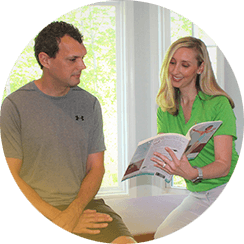 Unlike some PT clinics that will tell you what to do, Amanda will walk you through a HEP that is realistic based on your hectic schedule in order to keep your body functioning at its best. Besides a HEP, Amanda may make work/home modification recommendations for optimal results, including, but not limited to: a change in your work positioning (chair/desk/computer screen & keyboard level/mousing), change in pillow for best sleep, change in lifting/bending techniques, bracing if necessary, change in running technique/footwear upon observance and inspection of footwear, change in sport techniques (throwing, swinging, jumping mechanics) to give you the best chance at preserving your body so you can live a long and healthy life. How we are positioned during long periods of static activites (sitting/sleeping/standing) while at work or home can be the key factor to finding the reasoning behind our pain. In the same aspect, our body needs to be conditioned when walking, running, lifting, or performing our particular sport of choice. If there is a weak link in our body, this will lead to unnecessary stress on other tissues/muscles to pick up the slack. Amanda is excellent at observing you in your element to help troubleshoot and find why you may be experiencing pain. Exercises are often started on Day 1 of treatment; however, it is important to note that these are gentle exercises and any heavy strengthening exercises need to be postponed until cleared by the PT (usually when the pain of the affected region is cleared). Aimed at helping to prevent patients’ pain from reoccurring. List of what to do if pain reoccurs. Helpful tips in ergonomics set up, sleep positioning/pillow type, lifting/bending body mechanics.